When I cried out for help in Ravelry to get some Knit Picks yarn ordered for me, a kindred soul named Theresa came to my rescue. She needed a sock DPN kit and I needed some yarn. So we PM’d a few times and ironed out the kinks and eventually she placed the order on my behalf, it was over $50 so shipping to her was free. 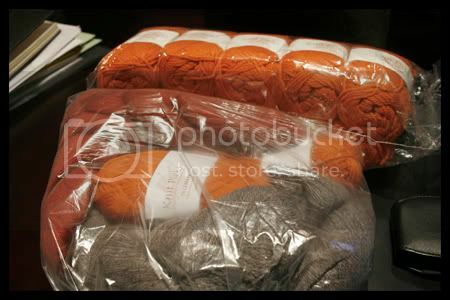 I only had to pay for the yarn and shipping to me. Now, anyone who reads my blog or has sent me any stuff would know that the post office in Dubai is not the best in the world. Theresa shipped the yarn over 6 weeks ago I think. I wasn’t panicking because I knew I would either get a parcel notice to collect it from the post office or the parcel itself would be delivered to me. 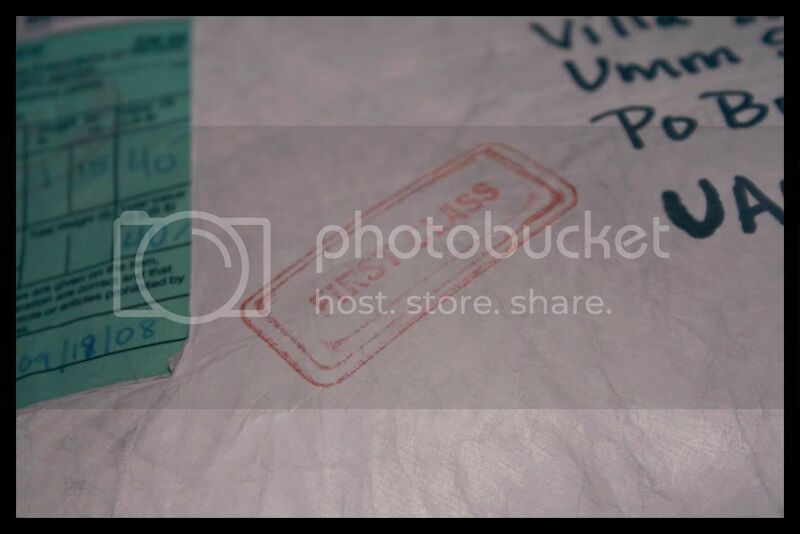 On Thursday mid-morning, the Empost man pulled up in the office parking lot and I saw him carrying a bulky white-ish package amongst the usual junk mail, bills and letters for the office. I headed down to the reception area and there, lo and behold was a squishy parcel with my name on it. The return address confirmed it was from Theresa so I knew these were my Knit Picks yarns! I let the parcel rest at the foot of my desk the entire day; it was a Thursday and our busiest day in any case so I had no business squeeing over a few balls of yarn in full view of my colleagues who cannot even tell knitting from crocheting, let alone appreciate the beauty of pure merino. I did PM Theresa on Ravelry to let her know the yarn had arrived. She was only too relieved to hear my news. Hopefully this will be the last time I fret over shipped items because I subscribed to a Shop & Ship facility which gives me a US and UK mailboxes. But that’s another story for another day. At the end of the day, when everyone had left and I was sitting there waiting for my family to come pick me up, I opened up the parcel. The yarns were all wrapped in plastic. I have 13 balls of Knit Picks Telemark in colourway Tangelo. These will stay inside the ziplock bag until I have the time and skills to knit up the Gathered Pullover by Hana Jason. 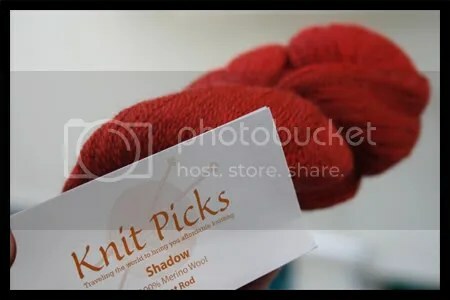 Theresa wasn’t lying when she said the Knit Picks Shadow in Hot Rod Red is gorgeous because it is! I had to take this photo hanging out of my balcony because I can’t capture the redness of the yarn under the tungsten lights. 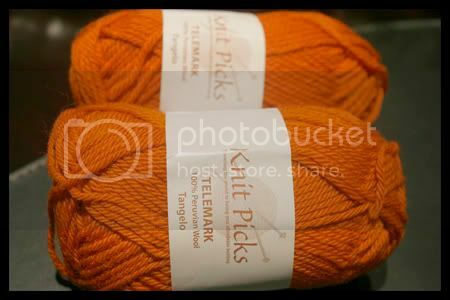 I have two skeins of this lace weight pure merino wool. 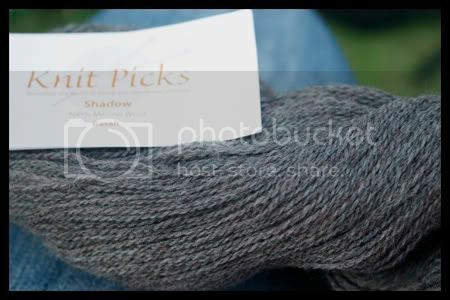 Tell a lie, I have four skeins of Shadow. Two in red and two in Basalt. I brought this with me yesterday at the park with the intention of winding it into a ball, which I did while chatting with family, and swatching for the Adamas Shawl. I succeeded on both, however I didn’t get gauge on the shawl. I don’t have a 3.75mm needle with me so I used the 4mm. I ended up with a different gauge but in fairness the pattern didn’t say what stitches to use on the gauge swatch. So I will try again later after I confirm this.